For level 100 characters who complete the Signature quest line, the Kunark Ascending expansion introduces four new Ascension classes of Elementalist, Etherealist, Geomancer, and Thaumaturgist. These new “classes” are not tied to your current class, and with enough patience, you can eventually level all four of them up to Ascension level 10. Ascension also grants powerful new spells/abilities which can be upgraded through Crafting, Research, or by spending Daybreak Cash. 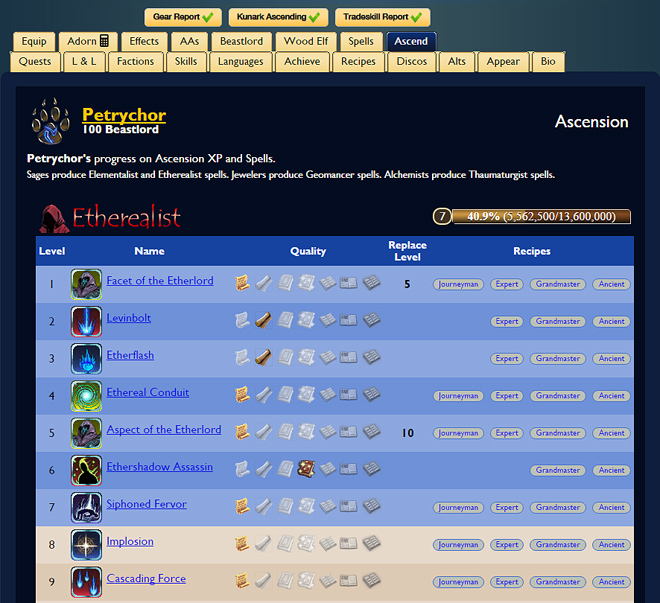 We are happy to announce that EQ2U has gained an Ascension tab to let you chart your character’s progress on gaining Ascension levels and abilities. Just a note that EQ2U Players has been updated with Collections from Game Update 101, as well as Recipes from Game Updates 100 and 101. Don’t forget to check out our EQ2U Race to Trakanon Leaderboards to see the progress on this special server! Thurgadin (the EU server) crashed at 9pm GMT and the decision was made to go ahead and apply today’s update which caused a downtime of approximately 1 hour. The Aerakyn Mentor has had his name changed to Lonce Jellysmots. [eq2u]Orb of Concentrated Memories[/eq2u] can no longer be modified by reuse speed. Writ of the Arena Master now has its effect. Undying Champion’s Knuckles now has the correct class restrictions for a fist weapon. Epic Weapons that lost their FABLED tag are once again fabled. Undying Champion’s Dagger can no longer be used by brawlers. The unicorn-rump-sitting-cheap-Far-Seas-wine-drinking escaped fabled spirit in The Village of Shin can now also delete your active “Warzone Devastation” quests. Corrected an issue that prevented the first 10 players to obtain level 80 adventure level from receiving the Undying Power adornment pack claim. This fix was retroactive. Corrected an issue that prevented the first 10 players to obtain each class epic from receiving the Greater Undying Power adornment pack claim. This fix was retroactive. * The way Tradeskill Class and Level were exported on characters made it almost impossible to do searches for all characters over a certain tradeskill level. Nine queries were necessary. This update will change this to only require one query. Follow the Race to Trakanon As It Happens! The Race to Trakanon server is also included in our EQ2U Leaderboards site which lets you see PvE, Quests, Collections, Crafted Items, Rare Harvests, and other trackables as characters complete them. Check it out! EQ2U Updated with Terrors of Thalumbra Quests, Recipes! We are happy to report that our update of EQ2U Players for the Terrors of Thalumbra expansion is now complete. We have loaded all of the Quest data for the expansion, including the new Signature lines, adventure, and tradeskill quests. This required updating Factions, Zones, Rewards, and QuestGiver info. This brings us up to 12,183 Quests on EQ2U. We have also re-imported Recipes and can now report that we have 30,948 Recipes on EQ2U. We’re missing 3 and have submitted a bug report on this. You can see what else we did to update EQ2U in our article from last week. NOTE: The EQ2 team and Platform have been invaluable in getting us this data and ensuring that the EQ2 Census data API is available and accurate. Loaded all Terrors of Thalumbra Recipes*. Loaded all Terrors of Thalumbra Collections. Extended the Lore & Legend page to include Cepholex, Fathomlurker, and Poxfiend. Added RELIC, PRESTIGE, etc. flags to item popups and details. Added INFUSED support to equipped items on the Character Details page. Updated Item Search to include RELIC, PRESTIGE, etc. flags. We’re evaluating turning the flags menu into a row of checkboxes to allow the selection of multiple flags. Updated Tradeskill Report to include the 21 new quests in the Terrors of Thalumbra Tradeskill Signature quest line (and a side quest line). Guild Search now goes to Level 150. Load Recipes again after tomorrow’s patch to see if the few missing ones come through. All of this would not be possible without Dave “Maevianiu” Kish on the EQ2 team adding the necessary extra bits of information, as well as support from Platform in exporting and updating data. By the way, I have updated the EQ2 Census API Forums to include all the necessary documentation for other fansites to support this data. Dedith, creator of the Dragon’s Armory website, has posted an update regarding his EQ2 fansite. He now supports equipped items which have been Infused, as well as further clarification of which stats are available or disabled on Time-Locked Expansion servers. I’ve added support to show on each worn item the details of any infusion applied to that item. Here on the front tab of my shield, you can see the details of both the Deity and Physical modification layers. Continue reading the announcement on the EQ2 Forums. Added infusion stats to census output. Added prestige flag to census output. Added infusable flag to census output. Added relic flag to census output. Beastlord and Channeler Trainers have returned to Freeport and Qeynos. NOTICE: GuildPortal will be going offline (permanently) by the end of the month. We can only speculate on the reasons for the site’s imminent closure. After 14 years, maintaining the site may no longer bring any enjoyment to owner Aaron Lewis. The site’s revenue through premium subscriptions ($90/yr per guild) may no longer justify continued development. 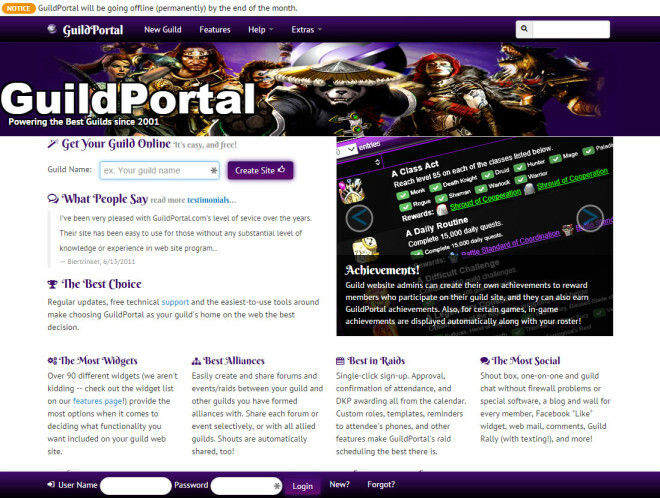 The site removed advertisements for free guilds in 2005 so only premium guilds support the site. On Sunday, October 4th, I hosted my first Twitch livestream, talking about Daybreak Games‘ awesome Census API service and how it empowers EverQuest II, DC Universe Online, and PlanetSide 2 fans to create powerful and dynamic websites and mobile apps. This month marks the four year anniversary of Daybreak Games offering nearly unfettered access to rapidly updated static and dynamic data from its games. The depth and quality of this information is unparalleled and possibly unique in the industry. This livestream is rather Technical in nature and lays the foundation of how to request EQ2 data through Census calls. A followup stream will build upon this foundation and create a rudimentary Guild Roster website in PHP language. It’s hard to believe this month marks four years that the EQ2 Census service has been in continuous operation. Over that time, there have been just a handful of EQ2 websites that use the service, including Roster Master, EQ2 Mission, Dragon’s Armory and our own EQ2U. However Daybreak’s generous offer of this data was always intended for anyone who was interested in data analysis, or the building of websites and mobile apps. By comparison, DCUO and PlanetSide 2 each have over a dozen websites and mobile apps leveraging this data. Tomorrow, October 4th, I’ll be hosting a webcast on Twitch to walk through how Census works, how you can request EQ2 data, and what you can do with this data once you have it. 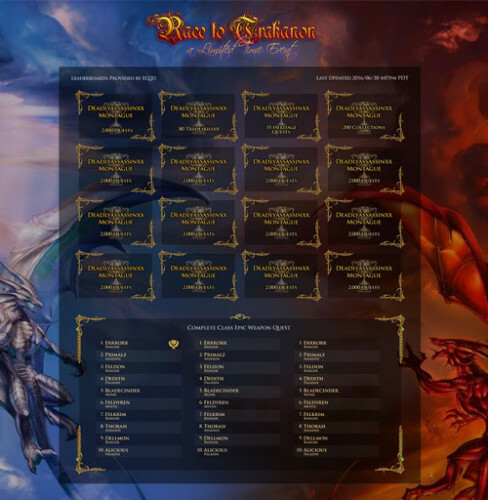 In a future webcast, I’ll then go over how to create a simple website that pulls back EQ2 characters and guilds and displays a roster. Keep in mind that this will be my first Twitch livestream so there may be a few hitches. UPDATE: The livestream started on Sunday October 4th at 1:00pm PDT. That’s 4:00pm EDT, 23:00 BST, and Monday October 5th @ 0:00 CET. It concluded after 1 hour 10 minutes. Thank you very much to those who joined me for this livestream. We’ll be posting the video and PowerPoint very soon. EQ2U: Introducing the Tradeskill Report! In its eleven year history, EverQuest II has accumulated a large cache of Tradeskill content. Over the years, various Spreadsheets have been created to track player progress in these quest lines. 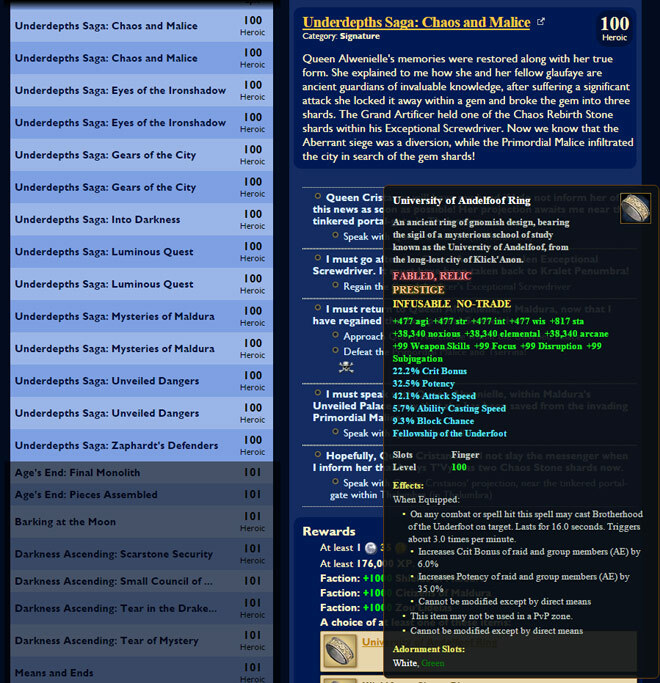 Even with these tools, a lot of tedious back-and-forth between the in-game Quest Journal and sites like EQ2 ZAM and Wikia is necessary to ensure that every quest has been completed. Until now. For the last two days, EQ2 decorating maven “Jazabelle” of Homes and Tomes and I have developed a new Tradeskill Report feature which allows crafters to track the progress of all their characters on over 270 tradeskill quests at the touch of a button. To access this new feature, simply search for an EQ2 character and then click the new “TS Report” tab on the far right side. If you are a registered user of EQ2U, then you may click the “TS Report” button under any character group on the front page of the site. The Details feature gives you a breakdown of every Tradeskill quest that a character has done with quick links to EQ2U, ZAM, and Wikia so you can work towards the completion of your checklist. EQ2Wire and EQ2U Maintenance September 2015 — COMPLETE! Daybreak Games aren’t the only ones doing maintenance today. EQ2U and EQ2Wire will be undergoing maintenance starting at 12:01am EDT and we’re hoping the downtime will be limited to 3-5 hours. An opportunity has presented itself to upgrade to a significantly faster server with the same host at roughly the same price. The first step is a hardware migration. 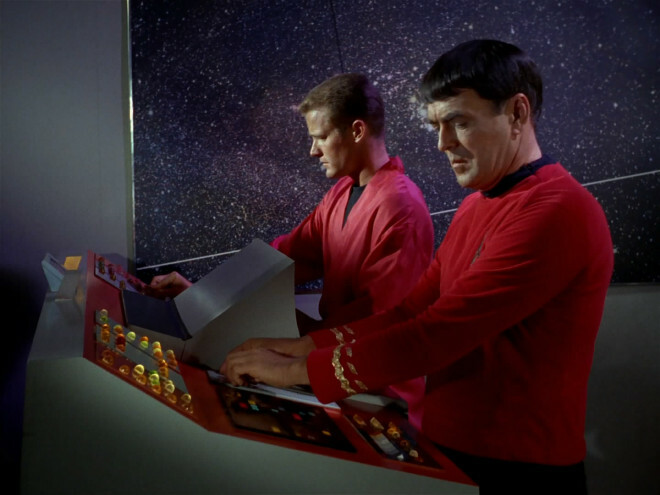 In the coming weeks, we will have additional upgrades that will bring our operating system, database, and web server software up to date. 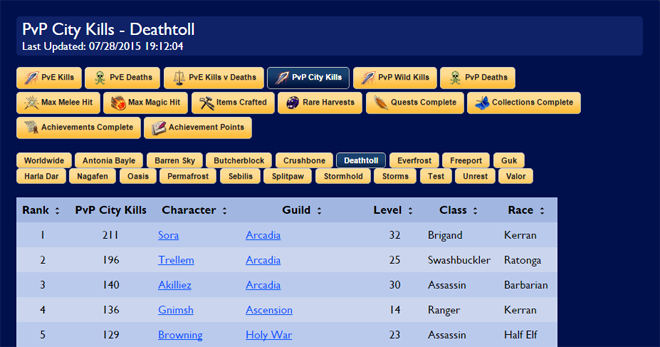 EQ2U Leaderboards Extended to Include PvP Stats, More to Come! We’ve had Leaderboards functionality on EQ2U for about a year now but we didn’t provide PvP leaderboard tracking…until now! In honor of the new Time-Locked Expansion Deathtoll PvP server which has so far been incredibly popular, we’ve added City Kills, Wild Kills, and Deaths for PvP servers on our Leaderboards. We’re also working with the EQ2 team to add some additional stats to track. If you haven’t checked out our Leaderboards feature, we show the top 100 characters on each server and worldwide for a variety of stats for die-hard crafters, questers, harvesters, collectors, and achievement-chasers! 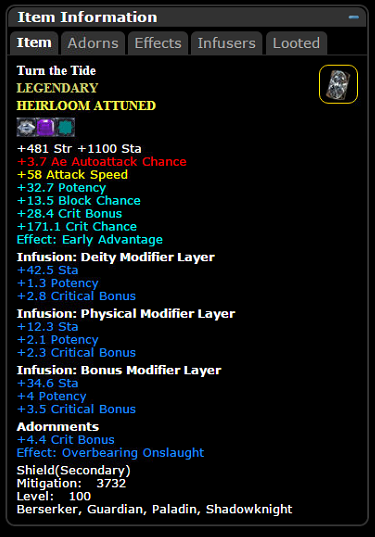 Dethdlr’s Adornment Calculator Rises From the Ashes! 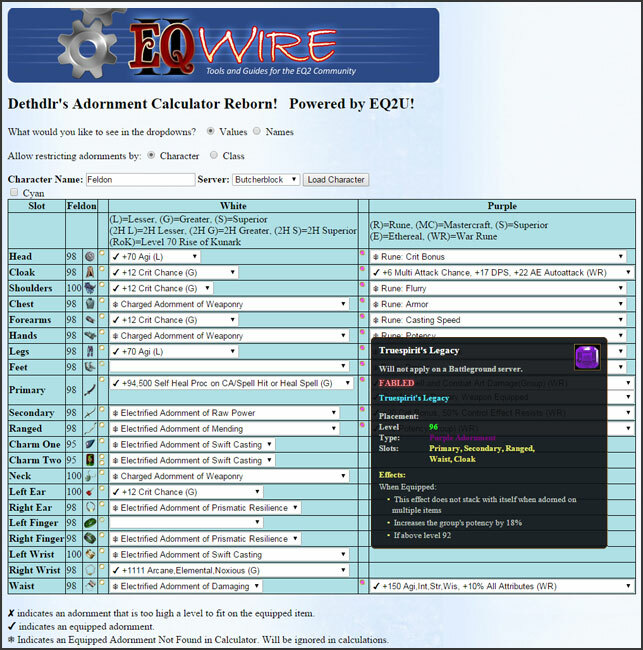 In 2011, Dethdlr launched his powerful Adornment Calculator for EQ2. Not only did this tool allow players to see all the adornments applicable to their equipment slots, but it also enabled them to pick their desired adornments in white, red, and yellow and then produce a shopping/crafting list of everything needed to craft, earn, and buy those adornments! The development of the Adornment Calculator also fostered a partnership between Feldon and Dethdlr that eventually led to the development of EQ2U. Because Adornments in EQ2 can come from so many different zones and places, and because crafting them requires a variety of tokens, components, and specialty fuels, trying to keep them all straight without some kind of Excel spreadsheet or website is all but impossible. This complexity is ultimately what motivated Dethdlr to come back and resurrect the calculator. So after four years and much prodding, Dethdlr has gone back to a white piece of paper and rewritten the Adornment Calculator for a new era of White, Purple, and Cyan adornments. It’s not only been built from the ground up, but it is now database-driven, solving one of the biggest problems with the original version. The new calculator can be extended as new adornments, colors, and types are added. We are thrilled to announce the introduction of Collections support to EQ2U! 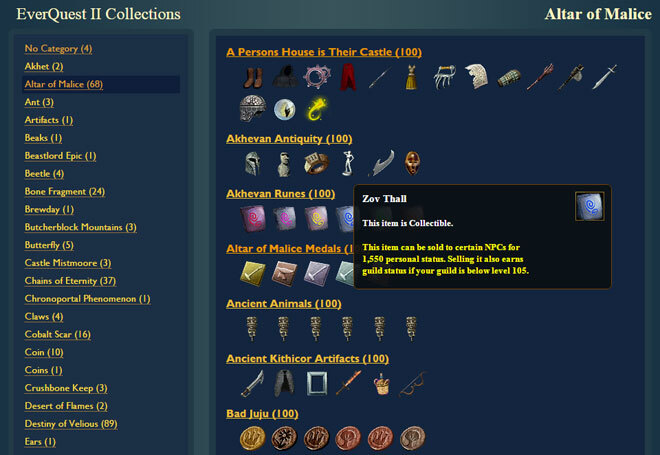 Players may now peruse over 850 shiny Collections by accessing the feature from our Search menu. Over the last few months, Dethdlr and I have discovered a some surprisingly obvious bugs on EQ2U which we can only guess at least one player noticed, but then couldn’t find an easy way to contact us, so the bug remained unfixed. 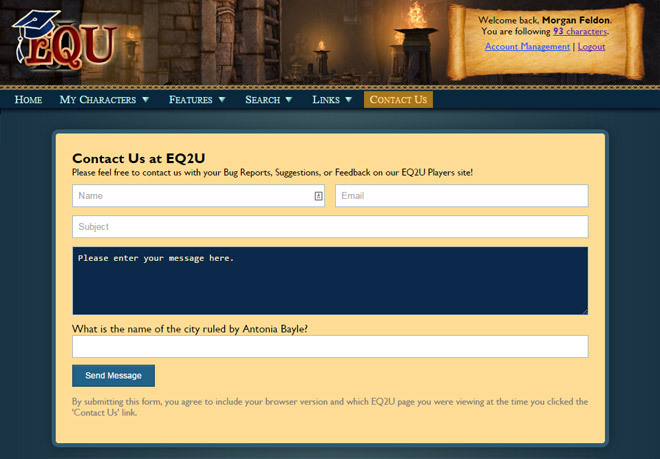 To address this, we’ve added a dedicated Contact Us form for registered users of EQ2U. With this new form, we are hoping to hear from anyone who just wants to give us feedback about the site, pose a suggestion, or of course let us know if they find any issues with the site! It is through player suggestions that features such as Gear Report have been added and we’d love to hear from you! Here are our recent updates to our EQ2U Players site which are all about keeping up with the Joneses!! The Altar of Malice expansion builds upon the itemization changes begun with Tears of Veeshan. The number of “stat packages” gives players more choices in their gear selections, especially for fighters and certain priest classes. Also with the introduction of upgrade gems, it’s more important than ever to keep all the sets of gear straight! To respond to this need, we’ve introduced a “Gemmed Gear Gadget” page to EQ2U. 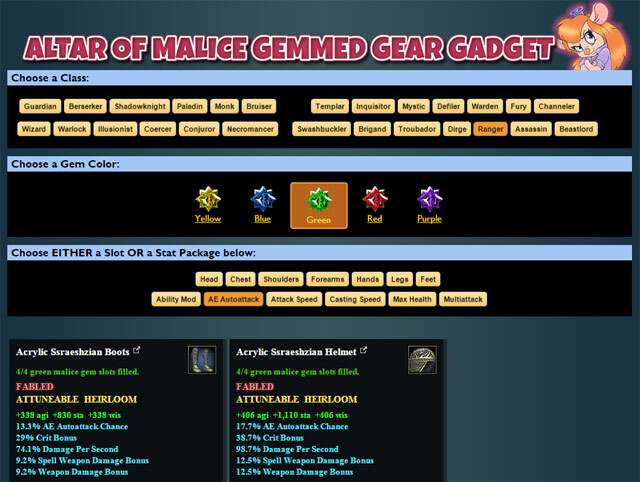 This new Gemmed Gear Gadget page lets you pick a Class, an AoM Gem Color, and either a Slot or a Stat Package and then see all the matching item examine windows for all the max gemmed gear. The Stat Package buttons change based on which archetype you choose. As soon as matching armor pieces are discovered by players, they’ll be added to this page. EQ2Wire and EQ2U Get the Norrathian Spotlight! After 7 years in operation, we’re getting our moment in the sun! There are many amazing players in the EverQuest 2 community that spend time making the game more enjoyable for their fellow players. These players host events, create guides, run fan sites, provide feedback, answer questions, and/or design items and houses for everyone to enjoy. In the Norrathian Spotlight, we want to highlight some of these amazing individuals that make our community a fabulous place to be! We asked for players to nominate fellow gamers they feel make a positive difference in the community and we’ve received a lot of forum posts and e-mails about some amazing people! In this Norrathian Spotlight article, we’re highlighting Feldon, a player who has contributed to the community by helping players in-game, answering questions on the forums, and creating the EQ2Wire and EQ2U fan sites. Alternate Advancements/Prestige tree data completely reloaded. 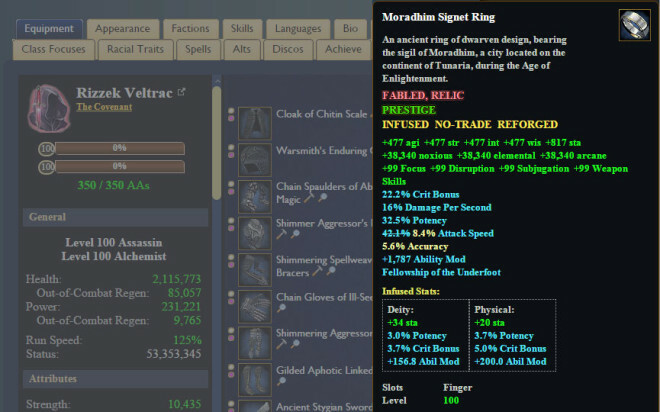 We now handle the new “Class Prestige” (Adventure) and “Far Seas Prestige” (Tradeskill) trees. Character Spells now go to level 100, support Ancients, and link directly to the Expert and Grandmaster recipe pages! Added Urzarach and Allu’thoa Lore & Legend quests to Lore & Legend tab. EQ2U Signatures are no longer capped at 320AAs. We are still working on Equipment Sets (a new EQ2 feature allowing up to 10 Adventure and 10 Appearance gear sets). 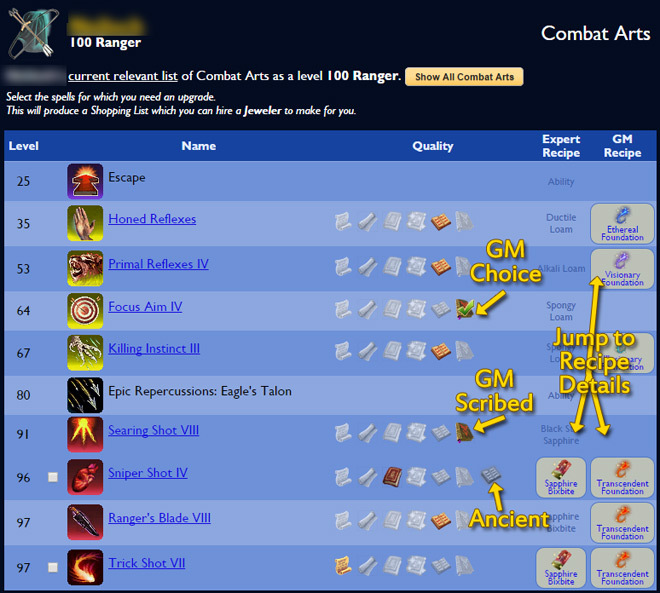 We will be updating the standalone Spells pages (Search -> Spells & Combat Arts) to link to Recipes. And we anticipate receiving updated Quest data in the near future after all the secrets of the expansion have been unlocked. 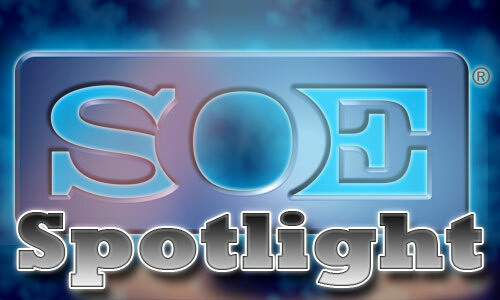 Watch the EQ2U / Dragon’s Armory panel from SOE Live 2014! We will be working hard tomorrow to support the rollout of the Altar of Malice expansion. If you read EQ2Wire, can’t live without EQ2U, depend on Dragon’s Armory, or participate in the EQ2 Raid Council, come hang with us at Planet Dailies on Thursday afternoon at 4:00-pm-5:30pm before the Welcome Reception. Dethdlr, Feldon, Dedith, Kander, and Gninja will be in attendance. Time moved to 5:00-6:15pm because I’m a noob! We’ve updated our SOE Live Schedule App for Android, Windows phone, etc. It’s actually quite tricky to get the app to load its new data, as we designed it to not require an internet connection once it’s loaded. I suggest deleting the SOELive Daily app from your home screen and then visit http://dev.eq2wire.com/m/ on your phone and redo the “Add to Home Screen” step, you should get the new version. The correct version should show version 1.25 with update date of August 12, 2014.